Pageant workshops are the biannual pageant family reunion that sets the stage for the summer competition. For a newcomer, however, they can be pretty intimidating. Here are a few things I wish I knew walking into my first workshop. Make the first move! Introducing yourself to other contestants and starting up a conversation about what you’ve seen from them via social media or just simply asking questions is the best way to start making friends. If you’re a returning contestant, going out of your way to make friends with new contestants means so much and can have a huge impact on women just entering the organization. Having friends while walking into competition week was the biggest relief and blessing while I was competing. Take those relationships into your own hands! 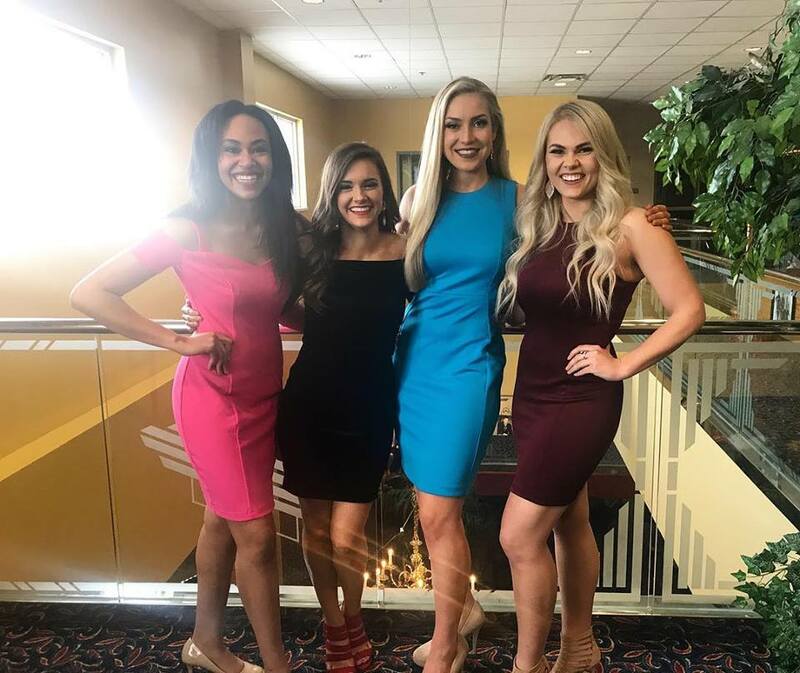 Alexsys Campbell, Whitney Gillman, Jesse Craig, and Chantel Townsend at the 2018 Spring Contestant Workshop. Taking advantage of all the information presented to you at the workshop and keeping a record of it will only benefit you; it makes you seem more polished and professional when you have all the information — this will prevent you from asking questions in the future when they were already answered before. You can also be a resource to your sisters who may have questions down the road. I remember feeling nervous to ask questions…but that is the whole point of the workshop! Sometimes it’s easy to think that your question is dumb but, more times than not, another person has the same one. Whether it’s questions about the layout of the competition, pageant lingo, preparation leading up to the competition, deadlines, etc. ASK YOUR QUESTIONS! Sponsors, photographers, past contestants, returning contestants, current titleholders, and local volunteers will be present at the workshop. You have a reservoir of people and knowledge to benefit from. Don’t hesitate to ask for advice, ask for a time to meet up with some people in the future, or just to make friends who can become your greatest supporters! Lindsey Lloyd, Krissia Beatty Hall, and Jesse Craig at the 2016 Spring Contestant Workshop. Walking into a forum full of ambitious and beautiful women who will become your competitors can be extremely intimidating. I know that I felt like a little fish in a big pond during my first workshop. But just know that whether you’re walking in as a first or second-year and beyond, everyone has their own fears. Be confident! You are there because you were meant to be there. You have something to offer that no one else does. At the Miss Utah Fall orientation, each candidate will have the opportunity to choose their competition number in a lottery. Some people believe that there are numbers and groups that are luckier than others which I believe to be untrue. If you’re prepared and make a good impression on the judges then they will remember you. 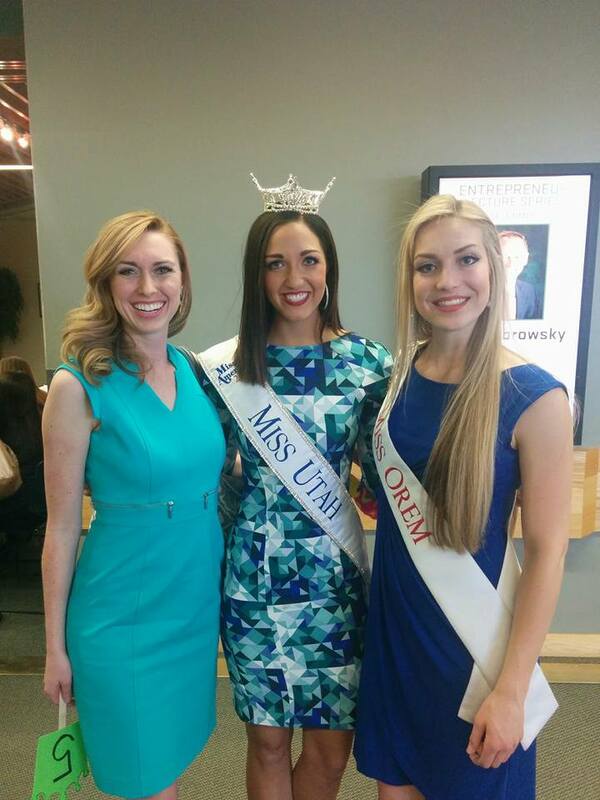 For example: during my years competing at Miss Utah, I competed as contestant #14, #49, and #52. 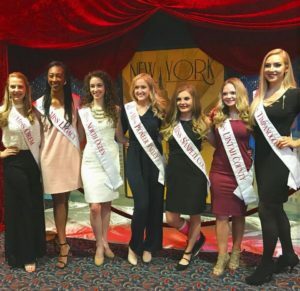 Other women I know have won Miss Utah as contestant #6, contestant #51, and our current Miss America was right in the middle of her competition group. It is so easy to want to compare yourself to the other women surrounding you…but don’t do it! It’s an easy trap that’s hard to keep from falling into. Focus on what you bring to the table and on developing relationships with the other women. Having an attitude of giving and engagement will help steer you away from that comparison trap. Jesse Craig with local titleholders from the Miss Utah Class of 2018 at the 2018 Fall Contestant Workshop. Workshop day is crazy, but if you have the chance to introduce yourself to the Miss Utah board members then DO IT! Making a connection with them early on is a great idea so that you will know the resources they offer, feel like you’re surrounded by the family that they are when competition starts, and so you know which one is best to answer your questions when you have them! The workshop is the perfect place to set goals for your reign and for your preparation for the competition. One of my favorite pieces of advice is to do something each day that best prepares you for the competition. Set reasonable and achievable goals! Whether that’s to make three to five Instagram posts per week on your titleholder account, working out three to five times a week, practicing your talent for 30 minutes a day, etc. This can be your launching point! More times than not there are fittings, paperwork, and other items that need to be taken care of. Arriving early will help you to get a head start and to have more time visiting with sponsors and fellow contestants! Workshops can be the most helpful and fun experiences! Make the most of them and use them to your advantage! 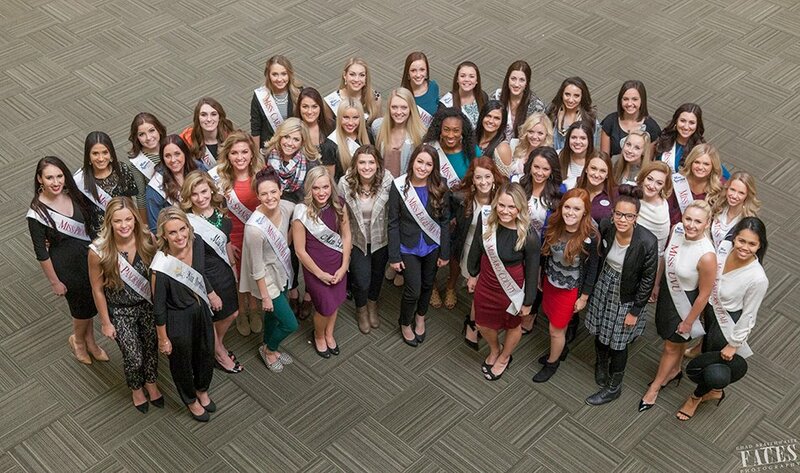 What other tips would you give to the Miss Utah Class of 2019? Should You Go Into a Competition Wanting to Make Friends?